Featuring your new fall wardrobe (aka lace-up boots, pretty calf-length dresses, coats, and skirts). 1. A knee-length felted coat that will look good with literally anything. So fresh, so put together (on the outside, at least). Get it for $59.99. A good plus-size (though shorter length) option here. 2. A pair of killer black lace-up boots that will be perfect for stepping on crunchy leaves. Get them for $49.99. Also available in rusty brown. 3. A botanical print dress crafted with just the right amount of chiffon and lace (meaning, all over). 4. A mock turtleneck top that lets everyone know your very serious health condition. 5. A roundup of iron-on patches that covers all of the most important emojis. Get a pack of six for $7.99. 6. A suave pilot jacket that will transform you into a Pink Lady straight out of Grease. Get it for $39.99. Also available in dark blue. 7. A wire-free cotton bra and matching undies with your mantra stitched all around. Get the bra for $12.99 and the undies set for $7.99. 8. A ribbed, calf-length dress with perfectly even color blocks. This symmetry is making me feel the feels. 9. A pair of seriously lacy pants that will relieve the boredom of your jeans routine. 10. A pink faux leather & snakeskin purse that will be the talk of the town. 11. A navy jumpsuit that will essentially elevate you to the same level as your fashion icon. 12. Workout tights with badass mesh cut-outs for the badass person you are. Get them for $29.99. Plus-size tights for the same price here. 13. A minimalistic makeup bag that describes you on the daily. 14. A perfectly cozy skirt that will seamlessly transition your wardrobe from summer to fall. 15. Delicate gold foil earrings that will definitely compliment the scenery around you. And they won't get stomped on. 16. Slim-fit pants for when the weather gets chillier and you kind of have to wear pants. Get them for $24.99. Available in five styles/colors. There are also these coated leggings if you refuse to wear pants (which, same). 17. Or wide-leg suit pants for a slightly fancier and boss-lady-like option. 18. A pair of ~dazzling~ metallic sneakers to jazz up all of your outfits. 19. A workout tank with a math equation that gets to the point (and upside down, too). Intense workout or spicy meal though? Could go either way. 20. A dark blue corduroy overall dress for an updated ~Eloise at the Plaza~ look. 21. A fierce bowtie blouse adorned with blue-eyed cats who can definitely see through to your soul. Get it for $17.99. Also available in white, powder pink, and black & white striped. 22. A darling powder pink watch that'll sit ~oh so pretty~ on your wrist. Get it for $17.99. Also available in black. 23. A set of bright blue PJs that will transport you to dreamland as soon as you put them on. Fluffy (and sleepy) clouds abound. Get it for $24.99. Get the matching bralette & briefs set here. 24. A turtleneck knit poncho that you'll be tempted to throw on every day because it's just so damn soft. It's like giving yourself a big 'ol hug (of fabric). 25. A snug tube scarf that will actually make you look forward to being outside on ~brisk~ fall days. 26. A simply sophisticated burgundy top for babes who prefer to give fall the cold shoulder. Get it for $14.99. Also available in black. 27. Vivid liquid eyeshadows that will make your peepers pop and look fresh as hell. Get them for $9.99 each. 28. 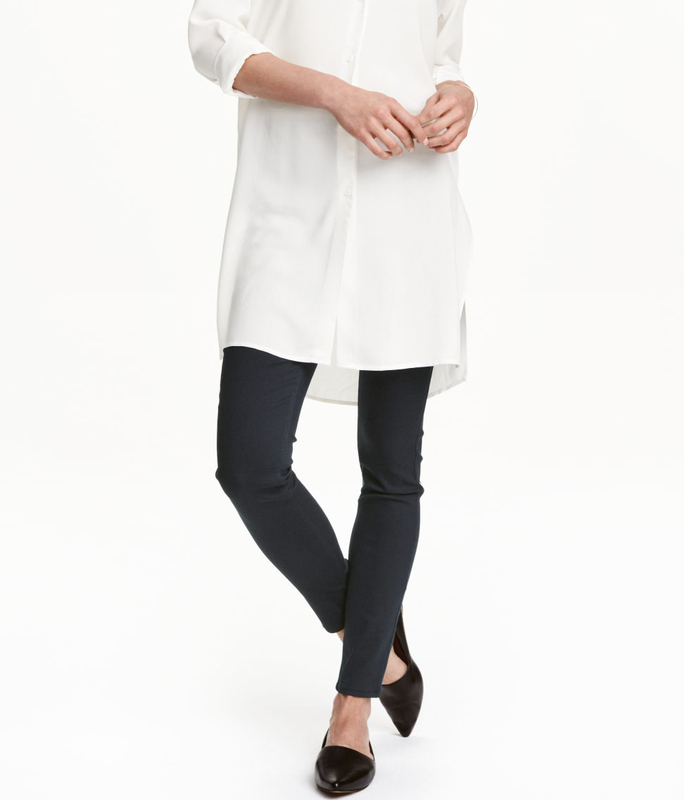 A long denim shirt that is both eco-conscious and awesome for layering. Get it for $29.99. Also available in khaki green and a slightly darker blue. 29. 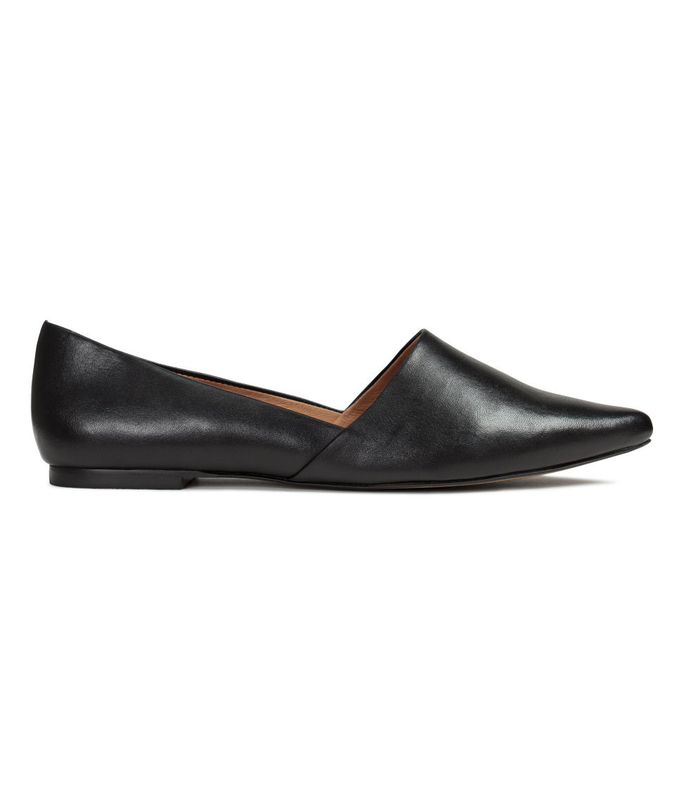 Simple pointed flats that will get you to wherever you need to go. Wearing heels = expect me to be late. 30. A checkered shirtdress if you're a sucker for classic fall plaid. Get it for $24.99. Also available in solid beige and emerald green. 31. And finally, a Mickey Mouse cap because every day should be like going to Disney World.